Luxury British jewellery brand Laura Gravestock Jewellery was founded in 2009 by designer and owner, Laura Gravestock. Taking inspiration from her surroundings, be it her childhood spent in the Middle East & Spain, or the stylish part of East London where she has lived for over a decade, Laura creates intricate, feminine jewellery designed to bring opulence to every day. Using precious metals and gemstones, Laura works from her London studio within the creative hub that is Cockpit Arts. Named as one of Professional Jewellers Hot 100 in 2014 and 2011, and a finalist for the UK Jewellery Awards New Designer of the Year 2012, the brand has blossomed since its launch, gaining recognition both within the industry and with its ever increasing loyal customer following. 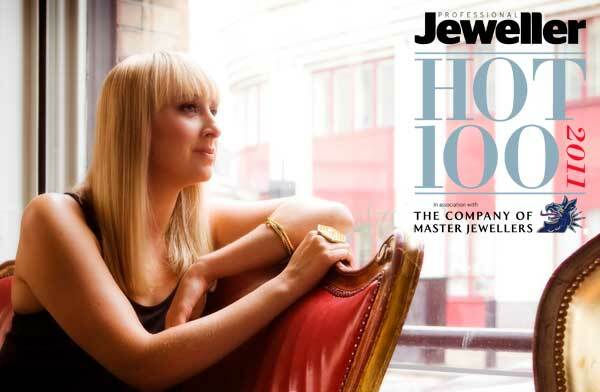 A firm favourite with top fashion press, Laura Gravestock Jewellery regularly appears in publications such as InStyle, Stella, Red, Cosmopolitan, Woman & Home and Grazia and is a celebrity favourite amongst the likes of singer Taylor Swift, actress Gwyneth Paltrow and Strictly Come Dancing’s Tess Daly.